Nutty, chocolatey flavors develop through each taste, finishing with fairly dry bitterness. A decent beer for the price, though it can fall flat quickly if poured wrong or consumed slowly. I probably wouldn't order it at a bar, but if I were at TGI-McScratchy's with Duff on tap, I might. I could certainly picture myself drinking das Boot mit St. Pauli Special Dark gefüllt. 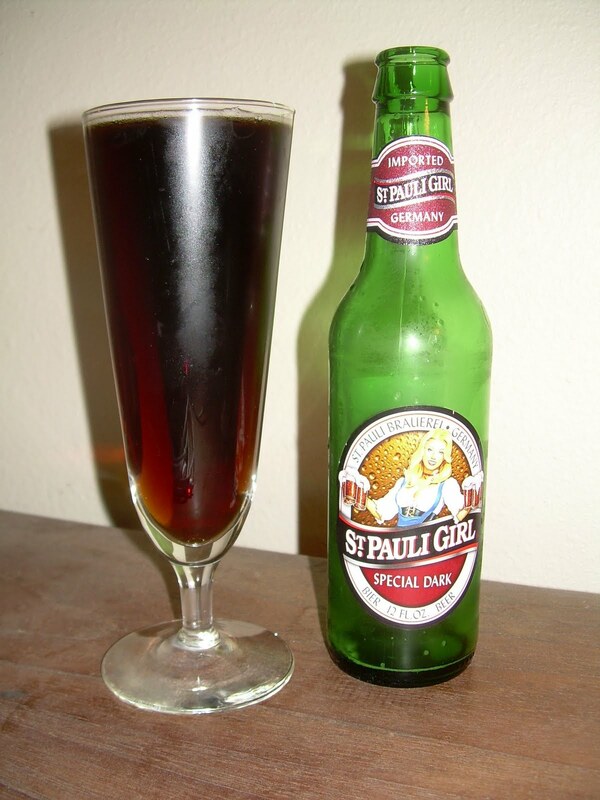 An added bonus: each swig increases the St. Pauli Girl's boobage by 10%. No cup envy here. A fine first addition. I brought my camera today, so we should have a good amount of additions.